Jacques Cousteau has been quoted as saying that British Columbia has “the best temperate water diving in the world”. Who are we to argue with that? That being said, we understand that scuba diving in Canada might sound a bit odd, but it’s actually great, both in the Eastern Provinces of Canada and in British-Columbia. The straight line distance between the north and south borders of the province is about 600 miles (966 kilometers). Most of that is an area called the Inside Passage, a route that cruise ships travel in the summer. Indeed, the area is showing off the splendor and isolation of the region’s wilderness. The area is remarkable because of its thousands of islands, deep fjords and many inlets. The total shore line of these islands adds up to an impressive 17,000 miles (27,359 kilometers), which is about 2/3 the earth’s diameter at the equator! In other words, this was a complicated way of saying that British-Colombia’s temperate diving benefits from a huge playground! Indeed, there are plenty of new places to explore every time you head out for a dive! In this page you will find more detailed information about scuba diving in British Columbia, Canada. How to dive British Columbia, Canada ? 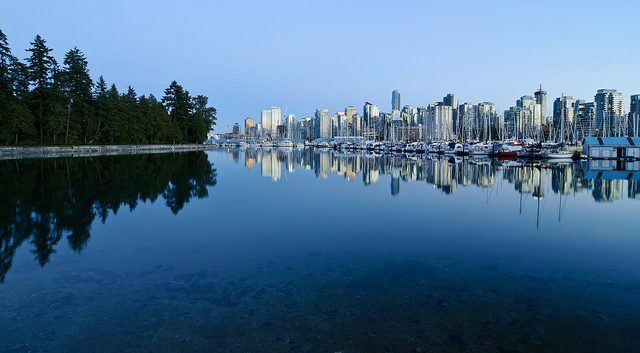 Vancouver is the largest city in British Columbia and has a major tourism industry. It is also a great place for scuba diving. While there are few dive sites within the city itself, there are many within 20 to 40 minutes from the city. Many of the dive sites are shore dives. Whytecliff Park located in West Vancouver and Porteau Cove, a BC Provincial Park, are two of the parks with shore diving. 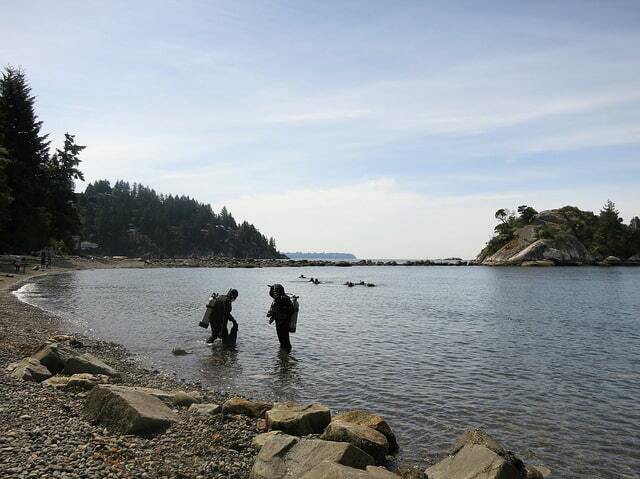 Beginning divers will find Whytecliff Park perfect for them as it has many sites suitable to Open Water Divers. 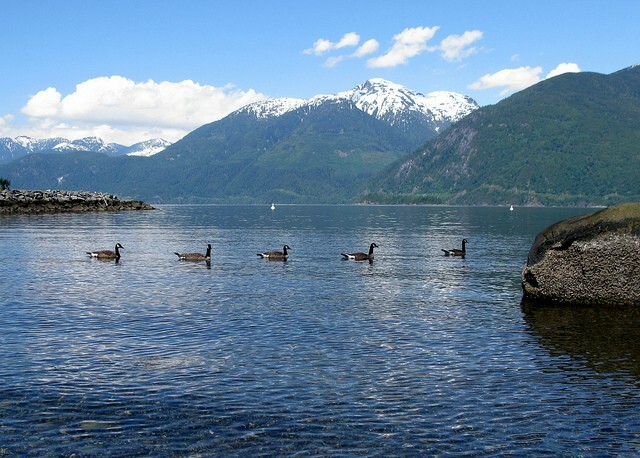 Experienced divers and technical divers will find Porteau Cove perfect for them. Victoria and Vancouver Island are further south, and the capital city of the province boast some great scuba diving sites! Indeed, Victoria has 32 shore dive sites, and diving from a boat adds another 20 dive sites. If you expand your area 50 kilometers to include Sooke and Sydney, then you add dozens of other dive sites to explore! The entire southern portion of Vancouver Island will reach about 400 dive sites. The north portion of Vancouver Island is scattered small towns and villages. Of these places, Port McNeil, Hornby Island, Port Hardy, and the Campbell River are all outstanding dive destinations. The southern coast of British Columbia’s mainland area is called the Sunshine Coast. The sunshine coast is between Desolation Sound on the northwest and Howe Sound, north of Vancouver, on the southeast. This 177 km (110 mi) long area may be reached from Vancouver by car or ferry. The area has many fjords and other inlets. The Artificial Reef Society of British Columbia has been very active for over 25 years adding to the wonder of BC diving. Thanks to their efforts there are eight artificial reefs plus a Boeing 474 jet sunk underwater and ready to be explored! How to dive British Columbia, Canada? Unless you are diving in Vancouver or Victoria, you will be diving in small towns and villages that can be very isolated. As an example, some locations are not accessible for a portion of the winter. Thus, planning where and when you are diving in British-Columbia is important. You will find dive centers that run day trips with their boats in lots of the “main” smaller towns, or in the cities. There are no liveaboards in the area. Thus, if you are looking for an Inside Passage adventure cruise and landed on this page, note that you are mostly likely looking for Alaska‘s portion of the Inside Passage. If so, then there are plenty of liveaboards or small adventure cruisers there. The diving conditions in British-Columbia are fairly stable over the course of the year. Indeed, since most dives are not in the open Pacific Ocean, the sea conditions aren’t much of a problem. However, some areas may become snowed or iced in during the winter, so check local conditions while planning your trips. Dry suit diving is the norm for the area, so if you re not certified for a dry suit, it is best to get certified. The surface water temperature in the winter months hover between 7°C to 10.5°C (45°-51°F). The summer see only slightly warmer water of 9°C to 15°C (49°-59°F). These extra few degrees seldom warm past 10 meters (33 feet). Plus, any deeper dive will bring you to the 8°C to 9°C water temperature. Visibility is generally in the 30 meters range, except during the spring plankton blooms. Many of the shallow sites are great for snorkeling if you are used to using a heavy wet suit or a dry suit. The marine life is massive in British Columbia and varies with the seasons and the different migration patterns. Divers will see large sponges, soft corals, sea fans and giant pacific octopuses, to only name a few! Plus, there are plenty of sharks and whales that you can meet underwater! Thinking of going for a dive in Canada’s westernmost province? Check out the | Diving section on Hello BC | for more information! If you are planning an upcoming dive trip or travelling to British Columbia, Canada, it is a really good idea to invest in travel insurance for scuba diving, because you never know what could happen and when you might need it (because accidents do happen!). I recommend this diving insurance as they offer worldwide coverage and focus on providing scuba divers a quality insurance and medical assistance service. For warm water divers, learning to dive in British Columbia may have some challenges. However, they are well worth the effort to dive this stunning region of Canada. Now that you know all about the underwater world, you might want to start planning your scuba holiday! Check out our British Columbia, Canada Travel Review for information about how to get there, activities and excursions, where to stay, and more. 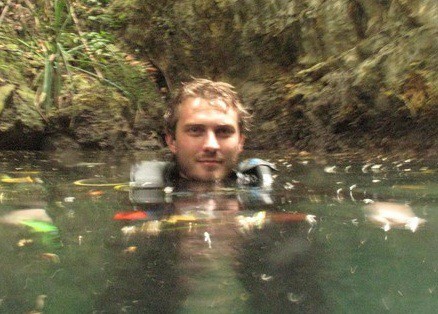 The Best Fresh Water Diving In The world. Have you been diving or snorkelling in British Columbia, Canada? Consider sharing your experience with the diving community by leaving a comment below! The Best Temperate Water Diving in the World. Planning holidays in British Columbia, Canada? Looking for practical information for a trip to British Columbia, Canada? Check out our British Columbia, Canada Travel Review! Check out these few spots around Canada!